In any review of this, the newest iteration of the Call of Duty franchise, we have an interesting dilemma at our hands. You see, the game has been divided up into three sections: we have the campaign, we have Special Ops (SpecOps) mode, and finally we have the muliplayer. For now let's start of with the campaign. 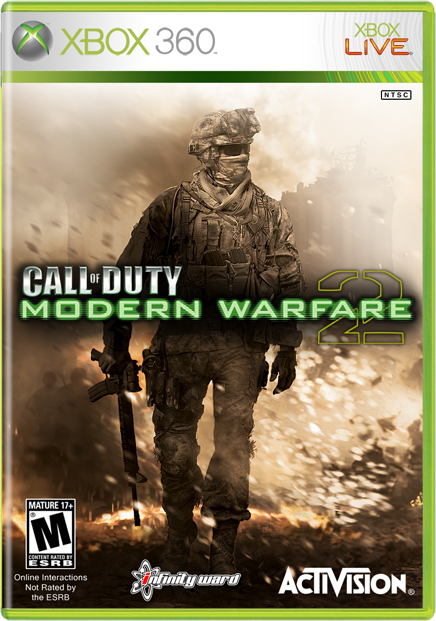 Our story starts five years after the original story of Call of Duty 4: Modern Warfare took place. A new dictator, Makarov, has risen to power after the defeat of the dictators in the original game. It's at about this juncture that we get to the “No Russian” mission that has received so much controversy. In order to get the support of the Russian people, Makarov, begins to slay the people in an airport  killing thousands. You play his right hand man, an undercover member of the US Task Force 141. You then get framed for all of the deaths causing a war between Russia and the US. This is definitely a controversial subject for most, but very few gamers have actually complained about it. Also, the media seems to have cut off it pretty quickly; Grand Theft Auto IV, by comparison, still causes controversies to this day, nearly two years after its original release. Anyway, “No Russian” aside, Modern Warfare 2’s campaign is an incredible sight to behold. The physics engine is one of the best I've seen in years, and the amount of detail in many objects is truly remarkable. Plus, there is nothing better than seeing an AI crouch behind a drywall divider and watching him collapse due to your bullets going right through it. The plot of the game is a bit lacking, though. Yes, you have to fight off waves of invading Russian soldiers from the White House and Captiol but it's one of those things. They just as easily could have stuck the characters in any order city on the eastern seaboard and had it be just as interesting. As it were, the missions away from the US are significantly more enjoyable, probably because the designers were able to have a bit of fun developing their own unique places. Even in the US, placing the missions in random “Genericville” was a much better option. The other problem with the story is the absence of the “wow” factor. It's great to have a big shocking event, but when it's three or four times during a game it really loses its value. Not to mention (Spoiler Alert!) the ending is one big quick time event. Yep, you get great gameplay with an above average storyline and they ruin it with a massive quick time event. The sound of the game is very immersive, but I'm finding sound to be one of those things that it has to be good or the game is just going to be bad outright. The voice acting is superb and the soundtrack is somewhere between Halo on the high side and Fallout on the low side. The gameplay itself isn't different from the first game. All the buttons do the same thing they've always done , and the game has the same “very easy to learn, hard to master” type of gameplay. There are also four different levels of difficulty, from Beginner to Veteran. The problem is that the game (even on a high difficulty) is only about 2 to 3 hours long and you can cruise by this game on a lower difficulty. So. now let's look at SpecOps. 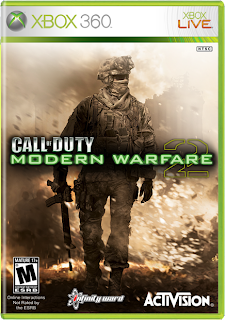 This is new to the Modern Warfare games and is a very fun mode to play with friends. Basically, as either a one- or two-man group, you can play through certain Special Ops missions that relate to campaign settings. The only is that this is the only co-op part of this game  a real bummer to a person like me who loves to play with his friends. "For the record" this is a great game and one you should go out and get. However, I'd like to point out that, since Modern Warfare 2's release, there aren't nearly as many five-year-old brats playing Halo 3.